Henry Bryant Phelps was born about 1814 in at Tylney Hall, Rotherwick, Hampshire. He was the son of John Isaac Phelps (1777-1841) and Mary née Ingram (1782-1872). He was the older brother of Yeovil glove manufacturer Robert Phelps. He married in the spring of 1838 in Yeovil to Mary Whitmash and in the 1841 census Henry and Mary were living in Back Kingston, close to its junction with Reckleford. Henry was aged 25, Mary was aged 20 and their baby son Henry was aged one. Henry listed his occupation as a glove manufacturer and their house, Convamore, was attached to his glove factory, as seen in the map below. Henry had the house built in the Regency style with an Ionic porch and adjoining his glove factory. 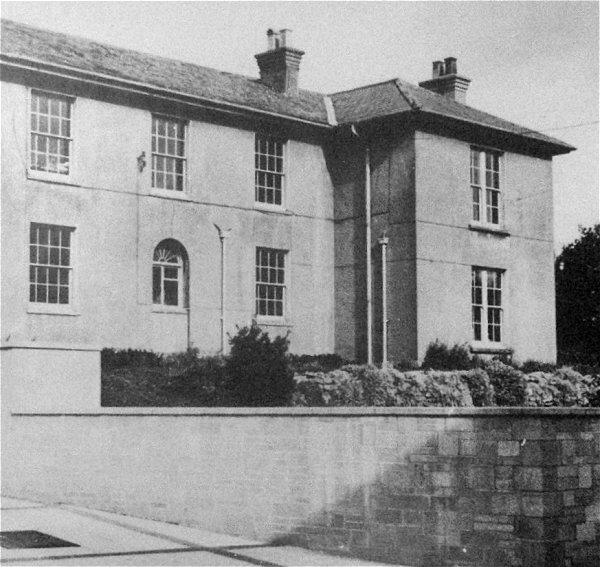 The house, called Convamore, was finally demolished in 1969. They were still at the same address in 1851 but now had a daughter Ellen aged eight and two domestic servants. Henry listed his occupation as 'Glove Manufacturer employing 65 men, 24 boys and 600 women'. At its peak Bryant's factory employed 90 men. He was listed as a glove manufacturer in the 1840 Somerset Gazette Directory, Hunt's Directory of 1850 and Slater's Directory of 1852-3. He was also a member of the Vestry and served as a Churchwarden at St John's church in 1851 and 1852. Henry was heavily involved in local politics, serving as a Town Commissioner, then as a Special Commissioner and was a member of the first Town Council. In 1871 he was appointed as a Borough Magistrate. He retired in the late 1850s or early 1860s and his glove manufactory was taken over by his brother Robert's company, Robert Phelps & Co. By 1903 it had been taken over by Hawkins, Jesty & Ricketts. The 1861 census recorded Henry, Mary, Ellen and two servants still at the same address in Back Kingston however by this time 47-year-old Henry listed his occupation as retired glove manufacturer. As a sidenote it was in this census that Henry was listed, for the only time, as being born at Tinley Hall. There were no changes in the following 1871 census other than their daughter Ellen was not at home and Henry reverted to being born in Yeovil. On the death of John Ryall Mayo in 1870 Henry purchased his house, Old Sarum House in Princes Street and remained the owner until 1885, although he and his family lived in their house, Convamore, in Higher Kingston. Henry was a member of the Bench at the committal hearing of the Colmer Murder Case, held at the Town Hall in April 1880. In the 1881 census Henry and Mary, together with their 28-year-old accountant son Henry Jnr, Henry's sister, a cook and a housemaid was still living at the same address. Henry gave his occupation as JP for the Borough of Yeovil. Indeed, Henry and Mary lived in the house for some fifty years. Henry Bryant Phelps died, aged 74, on 3 January 1888 at Yeovil. His personal estate was valued at £50,439 2s 10d (in excess of £22 million at today's value). Mary died in the winter of 1893, aged 78. 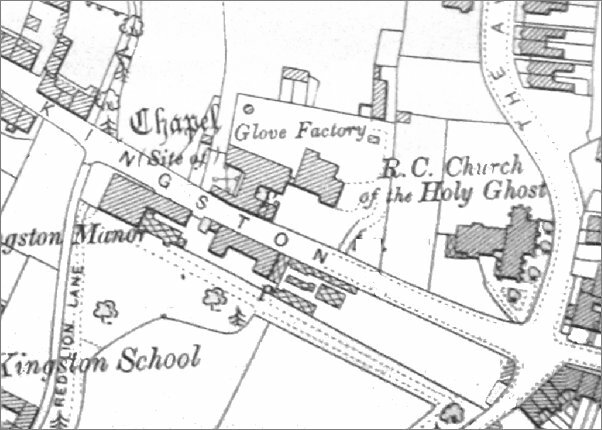 This map, based on the 1901 Ordnance Survey, shows Henry Phelps' glove factory with his house to its side. 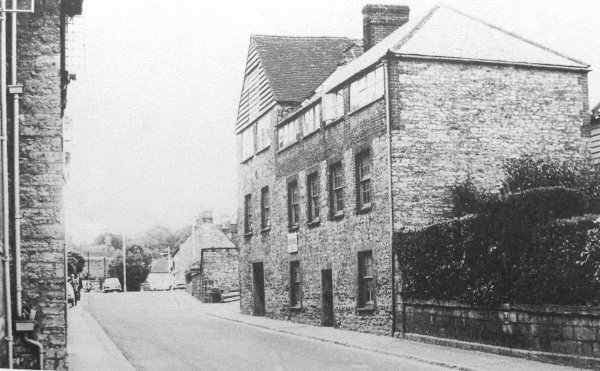 After Henry retired, the factory was taken over by his brother, Robert, although Henry remained living at the house until his death in 1888. 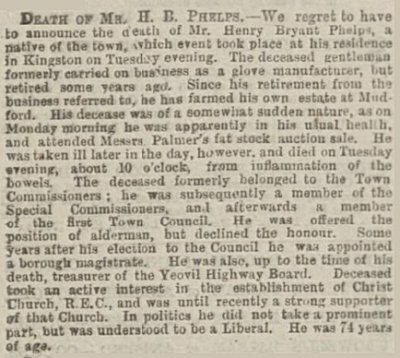 Henry Phelps' obituary in the 6 January 1888 edition of the Western Gazette.